This episode of the eCW Podcast looks at the critical role we all play in ensuring patient safety. 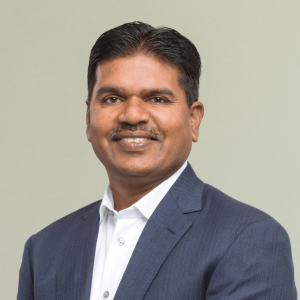 Host Adam Siladi chats with eClinicalWorks’ CMO and co-founder Dr. Raj Dharampuriya about building a culture of safety, and key steps that developers and clients alike can take. Who is Your Patient Safety Officer? 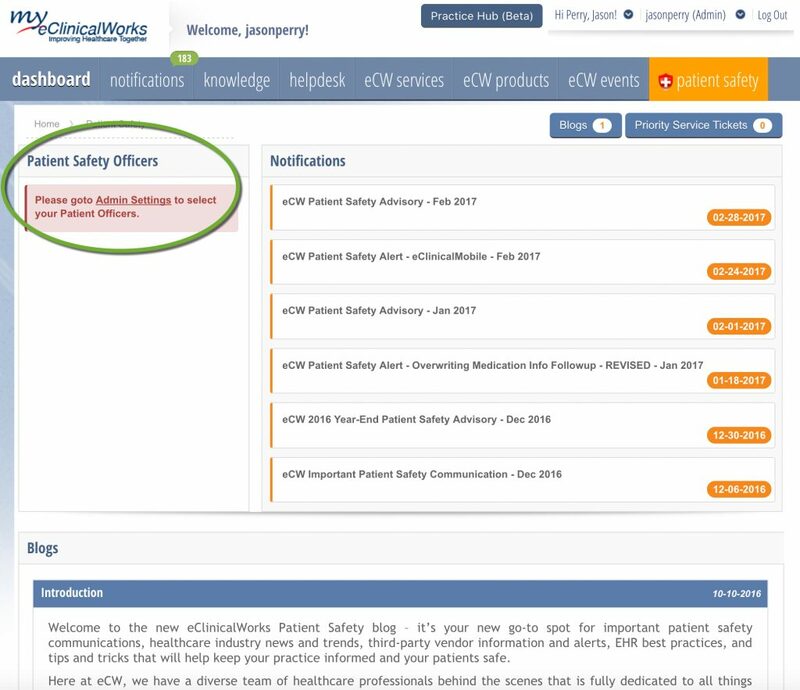 eClinicalWorks encourages every practice to designate a Patient Safety Officer to serve as the practice’s primary resource and contact for safety issues, from ensuring providers receive all patient safety notifications from eClinicalWorks, to seeing that critical software upgrades are completed and that potential patient safety issues at the practice are handled promptly. Whatever your practice’s size or specialty, safety comes first. Help us in our shared commitment to patient safety by designating a Patient Safety Officer today. Click here and follow the simple steps. Adam: Welcome to this edition of the eClinicalWorks Podcast, I’m Adam Siladi. As a medical record software vendor, eClinicalWorks serves not only its clients, but also the millions of patients that those clients care for every day. And as technology and understanding increases, the emphasis on prevention of errors, learning from incidents, and the patient safety culture surrounding them, must increase as well. Joining me today to speak about patient safety is Dr. Raj Dharampuriya, CMO and co-founder of eClinicalWorks. Dr. Raj, thanks for being with us today. Dr. Raj: Thank you, Adam. Adam: As an EMR vendor, why is patient safety important and what responsibilities does eClinicalWorks have regarding patient safety? Dr. Raj: I believe, as a physician, I go to medical school and graduate from medical school and take a Hippocratic oath. The oath says “do no harm.” And as software becomes a bigger and bigger part of delivering patient care in the offices, I think it’s important for eClinicalWorks and other vendors to realize that they play a big part in patient safety. We at eClinicalWorks touch over a million patients a day and send over 200 million e-prescriptions every year. The footprint we have is large, so we feel like the smallest change that we can do in the software will impact the healthcare of millions of patients. So as more and more healthcare becomes digitized, we feel like things that were hard to measure in paperwork, we are able to measure those much better than we did before. And I do feel we as a software vendor, the clinical providers, doctors, nurses, as well as the patients, all have to team together for patient safety. And I think that it is important for us as a software vendor to develop better products, that it is important for the physicians and the clinical providers to use the software better, and it is important for the patients to be aware of their health. So we go back to our tagline which says ‘Safe use plus safe technology are the ingredients of patient safety.’ So, apart from this there are a lot of other things that happen, that happen, so to say, that ‘behind the scenes’ such that an interface to a lab company, an interface to a imaging center, or a sharing of patient data with another care provider. All of these things have to be considered when you’re talking about patient safety. It’s not only the care that you give to the patient in the office, but it is more of the ecosystem or more of the continuum of care that the patient receives, that has to be considered as a part of patient safety. Adam: So not just a delivery of care issue about prescribing medications, but also the way that we treat the patient’s information, the data, where it’s going and how it’s being shared, I think that’s what you’re saying. And you bring up a great point to that it’s not just the technology, but the users need to be aware of that, and we’ll be talking about that a little bit later, as well. So what has eClinicalWorks done so far to prevent issues with patient safety and prepare for potential patient safety issues, as well? Dr. Raj: eClinicalWorks has done several things, and I can highlight a few. First of all, eClinicalWorks has a Patient Safety Task Force. This is a multidisciplinary team that eClinicalWorks has formed, that has individuals from the clinical side, the technical side, account management, and several other backgrounds. The purpose of this team is to understand and analyze any issue that may have been reported by the practice as a potential patient safety issue. This is the team that works with our technical support team very closely, so when an issue is brought to them by saying that “This could be a patient safety issue” – it is promptly analyzed. There are daily huddles that happen. This team meets internally with myself and the rest of the task force on a regular basis to make sure any concerns brought into by the practice which could be potential safety issues are taken care of in an efficient manner. Apart from that, we also have a Patient Safety Advisory Board – this consists of some distinguished physicians that represent different specialties, starting from pediatrics to geriatrics, as well medical and surgical sub-specialties. It also has pharmacists on the board that bring us some knowledge about the medication side, in terms of prescribing habits. Adam: It sounds like we have internal resources, and even external resources that are helping us make sure that patient safety is a top priority. I also heard that eClinicalWorks has partnered with NPSF and ECRI, which are two major organizations for patient safety. What can you tell us about that? Dr. Raj: That is correct, Adam. In the last couple of years we have partnered with both of these nationally recognized institutes, which focus primarily on patient safety in all different areas of patient care. These organizations help us bring their knowledge about what is going on in the industry in terms of patient safety. They share some of the best practices with us. They have their vision about how they want to improve patient safety. And we feel like, partnering with these organizations, we can bring a solution to our healthcare provider which will eventually benefit the patient. We also feel it is important, if I look internally within eClinicalWorks, to promote the culture of patient safety, and we have been doing this for the last couple of years or more. And the whole idea is that we encourage our employees to talk more openly about patient safety issues, and there’s also a very clear communication with our customers about an issue that they may have reported that could be a potential patient safety issue. I think the change in culture and encouraging the transparency has helped us a lot. Besides this, we also ask our employees to think more globally. So, an example of this would be a lab interface, let’s say, that is presented with an issue. We resolve the issue for that customer, but we encourage the employees to think about “Could this potentially benefit all our other customers who have similar interface?” And we are seeing the results of that. We are seeing the employees feel happy about how they are able to contribute to patient safety. Adam: And I know, in regards to the patient safety culture, we have regular presentations on patient safety here – I know you, yourself gave one not too long ago, and regular trainings, as well, and in fact this is being recorded during one of our patient safety weeks here to raise awareness inside the company. With regards to the clients, what about transparency? How does eClinicalWorks communicate potential issues or actual issues to clients? Dr. Raj: Well, let me walk you through a lifecycle on when a client opens a case and the client thinks that this could potentially be a patient safety issue. First of all, when a support tech or an account manager working with the customer identifies that this could be a patient safety issue, it is brought to the Patient Safety Task Force. The Patient Safety Task Force meets daily and analyzes all the issues that they come across. Once they identify this as a patient safety issue, this is communicated to the client that the issue that you reported is going to be treated in a very expeditious matter in resolving it. We do keep the customer informed during the process when this is happening. Obviously the technical team has full access to our clinical team whenever they want to come and run anything by the clinical team, they do so in case it needs a little bit more clinical expertise, and deep diving into this problem. Adam: And those notifications, how do we let clients know about that? Do we just blast an email to everyone at the practice? Dr. Raj: No. actually, we encourage our practices to have a Patient Safety Officer identified, and some of the large organizations do have a role of Patient Safety Officers or Chief Quality Officer, but we see a lot of small practices who sometimes are maybe uncomfortable with calling somebody a Patient Safety Officer. All we’re asking for is an individual who can understand the risk of the issue that is there and can communicate with the practice, in terms of what the issue might be, what the resolution is, and how should they implement about accepting the solution to that problem. 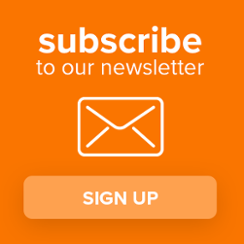 So we do not want to blast an email to all 100 users of the practice, but we would communicate with one Patient Safety Officer, stating that we have resolved this issue and the fix of this issue is in this version. At that point, the Patient Safety Officer makes a decision on whether it is part of their regular workflow and therefore they should take the upgrade, or they might as well just communicate internally and wait for the next major release before they accept an upgrade like this. Adam: So it sounds like there’s a couple things that practices can do to be proactive about patient safety and incorporate that culture, you mentioned naming a Patient Safety Officer and there is a process for that. If you’re not aware, we can include a link to the instructions on our podcast page, not that you’re not aware, Dr. Raj, but our clients who are watching the podcast, of course! And you did mention upgrading to the latest version — how would clients know what fixes are in which version? Is there a place they can go to see all that? Dr. Raj: Yes, so we do release monthly advisories on our my.eclinicalworks.com website. This summarizes all of the patient safety issues that we saw the previous month and exactly what the fix is and what is a workflow that causes that particular issue to arise and what is the alternate workflow if they decide not to take that fix? All of this actually sits under our tab called ‘Patient Safety’ tab on my.eclinicalworks.com, and we encourage our practices to look at that on a regular basis. So even if you’re not a Patient Safety Officer, for example, and you want to know what we are doing for patient safety, you can go to this tab and you will be able to find out exactly what is going on in terms of the activities we’re doing for patient safety. Adam: And of course we started out the podcast by saying that it’s not just the clients who are impacted by patient safety issues, obviously it’s the patients themselves. So what should clients tell their patients with regards to patient safety? Dr. Raj: Yes, Adam, time and again it has been shown that a patient is involved in his or her own healthcare, he or she ends up getting better healthcare. We did this promotion last year at our Users Conference, where all of the attendees got buttons saying ‘Ask me 3.’ This encourages patients to ask those three questions to their providers by saying ‘What is the condition? What is my main problem? And what can I do for it?’ The idea is to have a patient involved in his or her own healthcare, which forms essentially what I look at is a third leg of the stool, and really makes patient safety that much better. Apart from upgrading to the latest version of eClinicalWorks, and identifying a Patient Safety Officer in their practice, the other thing I wanted to stress is you should upgrade to the latest available drug content, we do work with Multum and MediSpan as our providers, and in terms of regular releasing the updates, and I think it is important for the clients to make sure they get the updates. Adam: So as far as the rest of 2017 goes, what is in store for patient safety this year? Dr. Raj: So for 2017 we do plan to continue and build on our Patient Safety Task Force internally. We continue to stay engaged with our advisory board. And some of the things that I’d like to stress about the work we are doing with this advisory board is not only looking at what defects are in the software and how they can be fixed and how can we improve our communication, but we’re also thinking about future design of the product. And how can we make the drug interaction screening more user friendly, for example? How can we reduce alert fatigue so the provider can focus the attention on what’s really important for that patient? We are also looking at adopting some of the best practices when it comes to designing a software for our patient as well as our future inpatient products coming out. So there’s a lot of work going on, and we do plan to educate our internal employees on a very regular basis in terms of the culture of patient safety and continue to make it a part of their day-to-day routine to talk about patient safety. So, apart from this, for 2017, our Patient Safety Task Force is also looking at doing several other things. They are already working on software design — how to make it better for our future versions and future users of eClinicalWorks. They also work on some implementation best practices, in terms of what is the best way for the users to use the functionality when it comes to the patient safety angle of it? And this team is really the core team in the company that really continues to work hard day-in and day-out to promote the culture of patient safety. Adam: Well, Dr. Raj, thank you for being here and speaking with us, it sounds like there’s a lot in store for 2017 in regards to patient safety. And if you’d like to learn anything else about the topics we covered today, you can check out my.eclinicalworks.com. Make sure you check out that Patient Safety tab and assign a Patient Safety Officer if you haven’t done so already. For the eClinicalWorks Podcast, I’m Adam Siladi, and you can check out our other episodes on iTunes, YouTube and my.eclinicalworks.com. Thanks for watching. Subscribe to our podcast easily with your smartphone on iTunes®.